Taking a page from the Doom Appreciation-Respect thread, we gotta have one for the Amazing, Sensational, Spectacular, Fantastic, Avenging Spider-Man! My favorite hero growin' up, and I think I became an even bigger fan of his now that I'm a photographer. Post that Spidey-Love, 'nuff said. Awesome! Spidey's very own thread! I'll definitely be stopping by here often. Once I get my place all cleaned up, and get all my figs out of boxes, I'll see what I can do about posting some pics. Great idea, Scythe! Last edited by bmorr; 08-23-2012 at 06:55 AM.. I'm surprised no one thought of it sooner. Spider-Man is my all-time favorite super hero and has been since I was a toddler watching the 70's TV show. 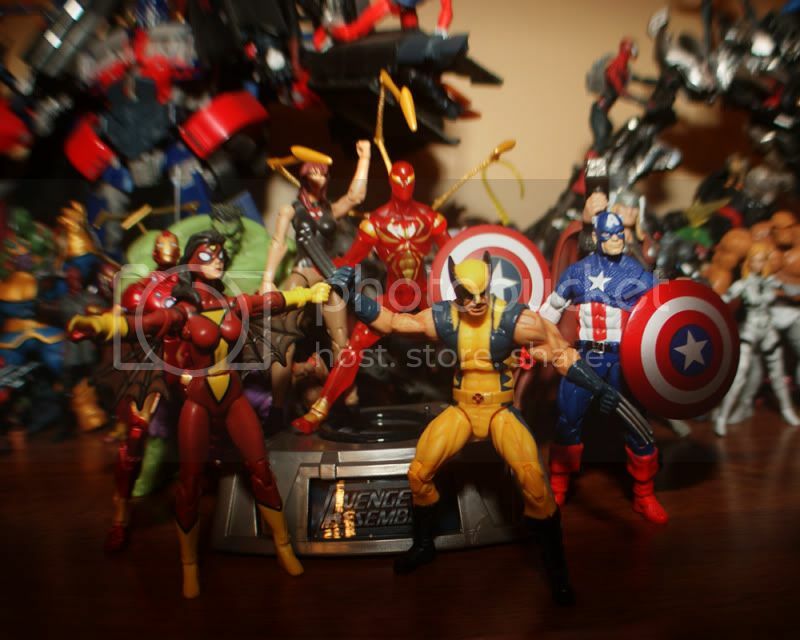 Iron Spidey with his cute lil' Cap Shield leads my Avengers. Everyone else just along for the ride. Add Scarlet Spider and Venom to that group and you could call them the "Spider-Vengers". 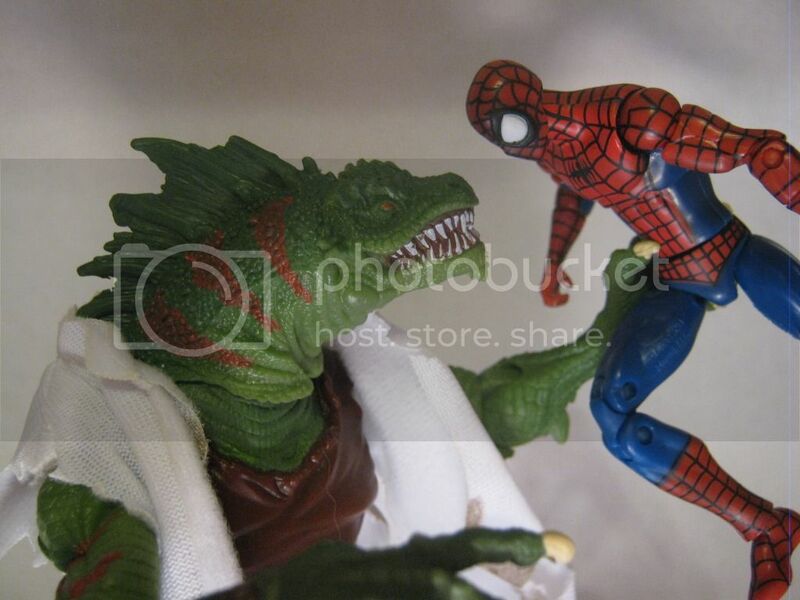 Some appreciation for Spidey and his green foe. Well Spidey is fifty and looks pretty good for it. Of course he still needs to get the hell out of my Avengers! venom is the best thing to happen to spiderman imo,he needed more screentime in the movie,but at least spiderman wears a cool mask,I give him props for that,imo he is a pretty cool hero,one of the only ones I have always liked. great idea for a thread. I'd like to lead off with this guy. What the hell is that?! It's so cute! 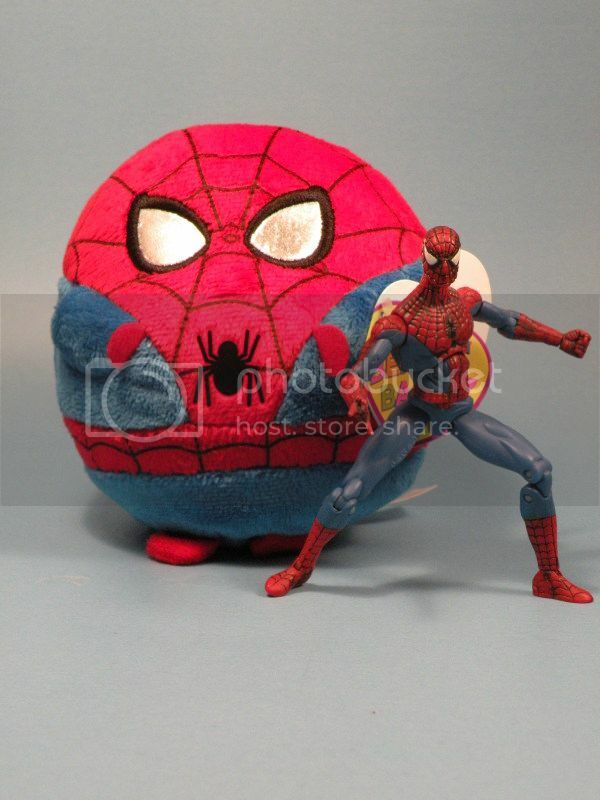 Spider-Egg? It's a beanie ball. My kiddo has one as well and loves it. Hahaha, that's awesome, I need to get one asap! so is this thread open for everything Spidey? Yep! Within' forum rules, but hell yeah. I got an Iron Spidey in the mail today from FancyPants! This pic also has the loose Hawkeye that he sent me, and also a Wolvy from SquirtleSquad. Thanks guys! Finally got an Iron Spider-Man! Woohoo! Every time you link to a picture hosted on someone else’s site without their permission, you are stealing their bandwidth. If you do this in a signature, and we find it, your signature will be removed on the spot. Someone's giving Scythe's cropping skills a run for his money! Last edited by Joe Moore; 08-28-2012 at 06:49 AM..
Can I link to images that are cool? I genuinely hope I'm not breaking a rule here. Last edited by uberlad; 08-28-2012 at 07:29 PM..
You finally have me in your collection, treat me well, I'll help complete your collection. he was talking about the image that was taken down. it was a collage of a bunch of spidey heads.